Rutgers University’s Admitted Student Open House celebrates students’ admission with outreach program designed to encourage student enrollment. A big day in any student’s life is receiving that much anticipated acceptance letter to college, but the decision about which college to attend is seldom an easy one. 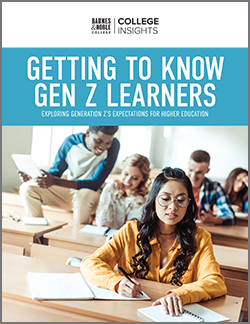 With strong competition between candidate schools, prospective students have the task of weighing in factors as diverse as academic outcomes, accommodation and tuition costs to make a choice that is so vitally important to their future adult lives. As a result, campus admissions departments bring out every possible resource at open days and other outreach events designed to encourage the undecided. That determination was particularly evident at Rutgers University’s Admitted Student Open House this year, where the admissions department held one of their most successful events ever. And they did it with the help of the campus bookstore. “Our Admitted Student Open House provides admitted students the chance to get a lively, big picture view of Rutgers – schools, departments and professors, student groups and ambassadors, student services and admissions representatives. We went all out on this day to speak with students and their families about attending Rutgers, and to convey the opportunities that come along with pursuing a Rutgers education,” explains Tania Castaneda, Director, Recruitment & Enrollment Undergraduate Admissions at Rutgers. 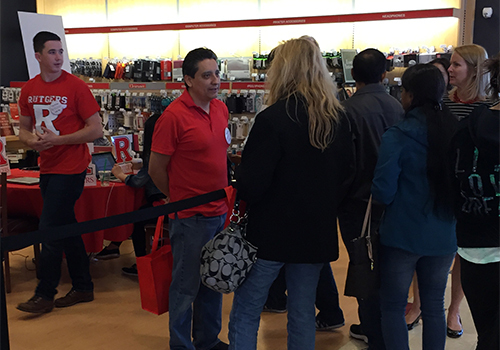 Interspersed with a full day of campus tours, meetings and presentations, the Rutgers bookstore became the venue to unwind for the nearly 2,000 students and parents who attended the event. In addition to the prospect of a welcome cup of coffee in the café, the bookstore provided an opportunity to create a memory of the event at the popular photo booth or become part of the campus tradition by becoming a Scarlet Knight. 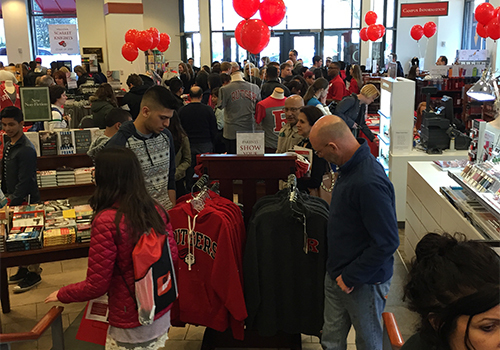 “Those who decided to become a Rutgers student could celebrate by ‘getting knighted’ at the store, and receive an official Class of 2019 tee shirt, tote bag and a framed commemorative photograph with their family,” Lenihan says. Although the Rutgers event was the first of it’s kind, Lenihan sees the potential to host similar events and activities at other campuses and colleges. 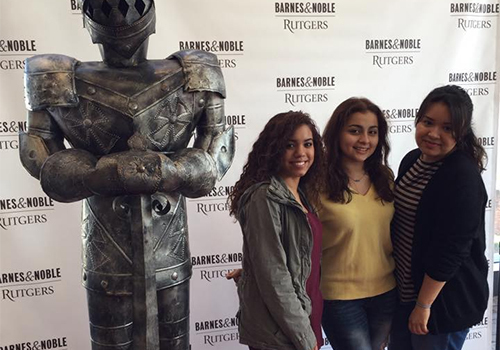 Rutgers’ Castaneda and her admissions team have already begun brainstorming with the Barnes & Noble College team for next year’s event. 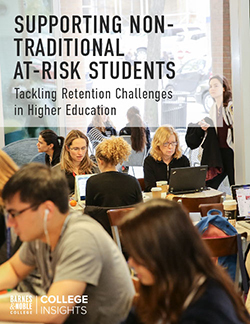 “In the bookstore, students are surrounded by the things they’ll need to live the life of a student — books, supplies, school spirit gear – it already lends itself to helping students envision what the next steps will be like. 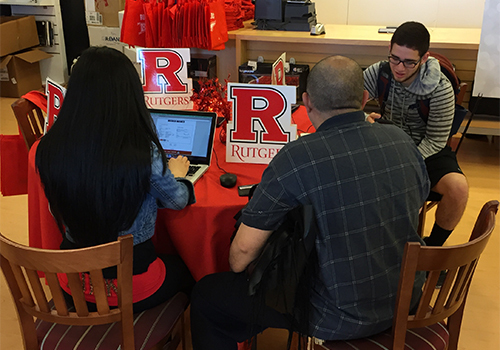 The atmosphere provided at the event was happy and uplifting, and whether a student chose to enroll on that exact day or not, we know they left the bookstore excited about Rutgers!” Castaneda says.